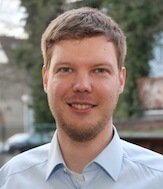 I am Development Engineer at Carmeq (Volkswagen Group) and focus on the development of Spoken Dialogue Systems. Previously, I was Software Developer at the IT Centre of a German federal state (Datenverarbeitungszentrum M-V), where I worked on the integration and development of service oriented architectures in the area of eGovernment-related applications. Also, I am part-time Lecturer at the University of Wismar. In 2014, I defended my PhD Thesis at the University of Kiel. My supervisors were Bernhard Thalheim and Antje Düsterhöft. The thesis has been reviewed by Bernhard Thalheim, Michael McTear and Ian O'Neill. My field of interest and research is Natural Language Processing, or more specifically the modelling of Natural Language Dialogue Systems. You can get best in touch with me by email.